Because we made a last minute decision to spend the weekend in Scottsdale after our ski trip in Telluride, I needed to grab a jacket to wear for the chilly spring nights. Had I known we were going to be making this trip, I would have packed my trusty black leather jacket from Club Monaco, however, I had to make a quick trip to Nordstrom (torture, I know). 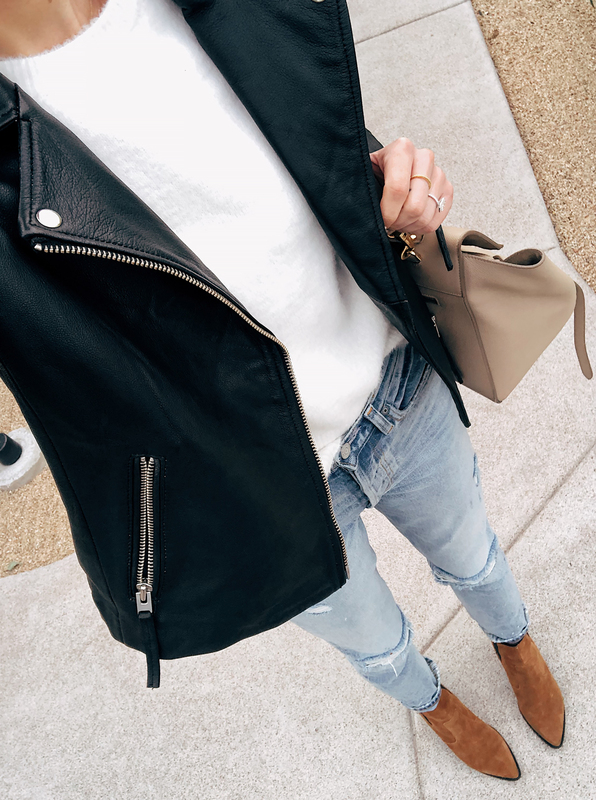 I found this black leather jacket on sale for under $200 and was so impressed with the quality and fit! It’s a great alternative to the one I already have if you’re looking for a budget friendly option! Editor’s Note: wearing my normal Topshop size US4.